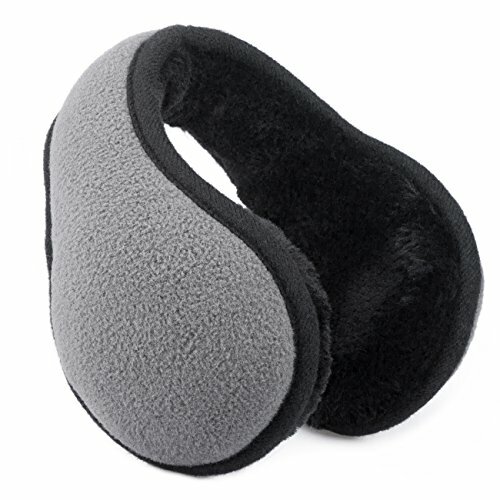 Fit for most adult, the earmuff is stretchable which is good to adjust the length. 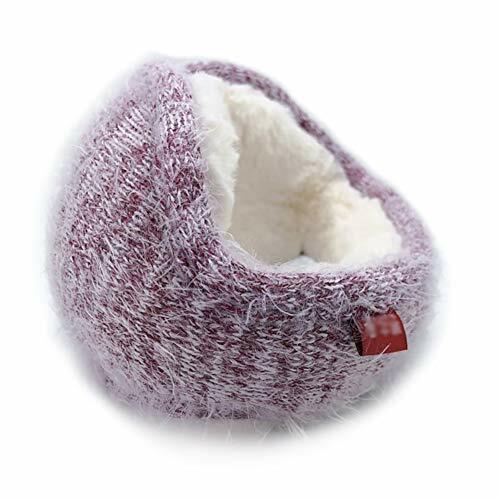 Well-made fleece lining is toasty warm, shield the wind from ears without blocking sound.Perfect for cold winter casual,skiing travel and other winter outdoor activities. 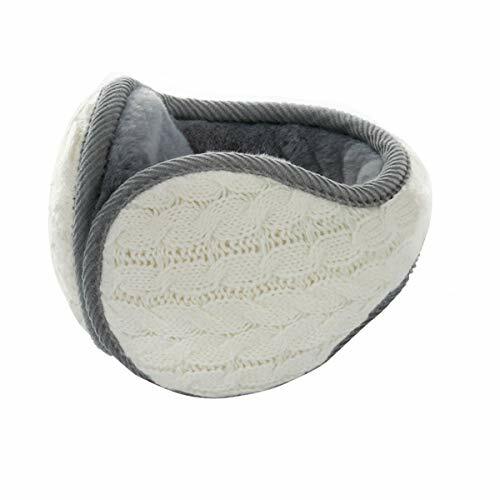 Adjustable band, slightly stretch, foldable design, collapse into a small size, easy to carry, can be put in bag or coat pocket. 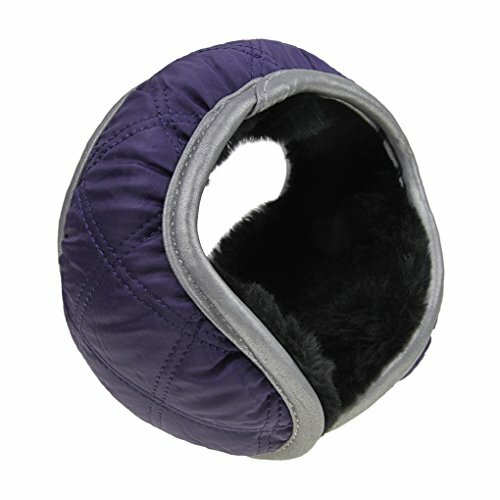 Stylish Design- Outer is a waterproof material,inner lining is plush furry texture material, keep warm, protect your ear. Wraps around the back of your head, No pressure of moving glasses, no worry about messing your hair,Great gift for family and friends for Christmas. 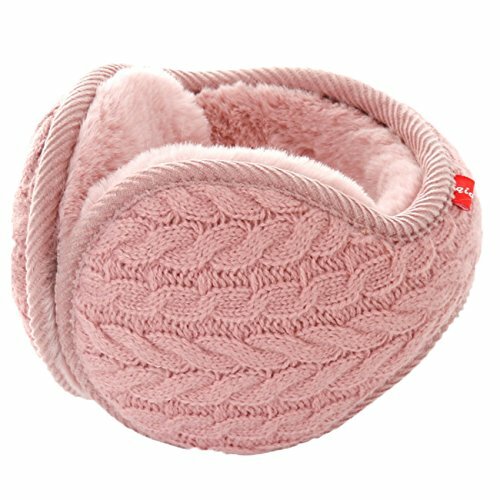 ⇒ Material: The outer layer of earmuffs are furry knitted fabric, warm, soft, comfortable; inner are dense smooth fleece, as a soft of the silk. Fine texture, well protect your ears in the cold winter. ⇒ Adult Size: Adjustable band, slightly stretch, foldable design, collapse into a small size, easy carry, can be put in purse or coat pocket. The shortest 35cm, can be stretched up to 42cm. 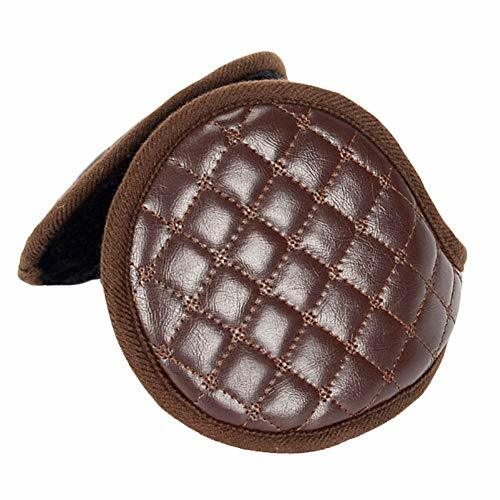 ⇒ Wear Design: Wrap around the back of your head, keep your ear warm while protect cervical vertebra without messing up your hair. It can be worn with glasses, helmets, and hats and are not cumbersome. 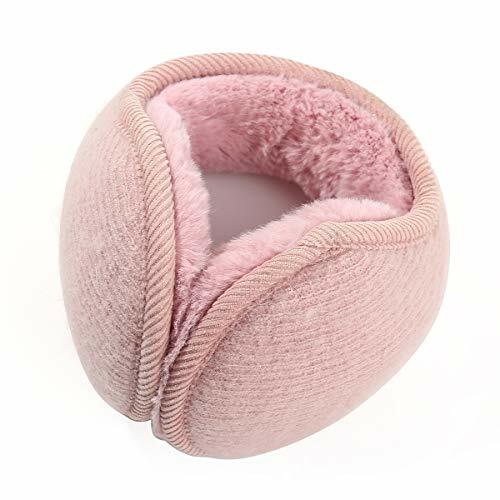 ⇒ Multiple Occasion: stylish pure color, lovely headband, Fashion simple type, for all occasions and wears, Perfect for cold winter casual, skiing travel and other winter outdoor activities, seam sealed, keep moisture and wind out. Great gift for family and friends for Christmas. 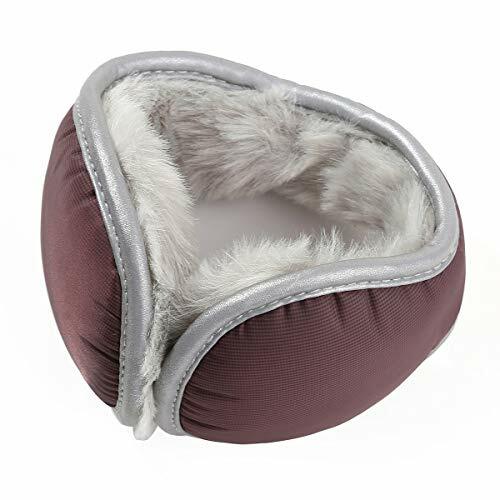 MATERIAL: Fashion earmuff comes with Acrylic furry material shell and plush furry texture inner lining, which keeps you warm and helps reduces external noise. 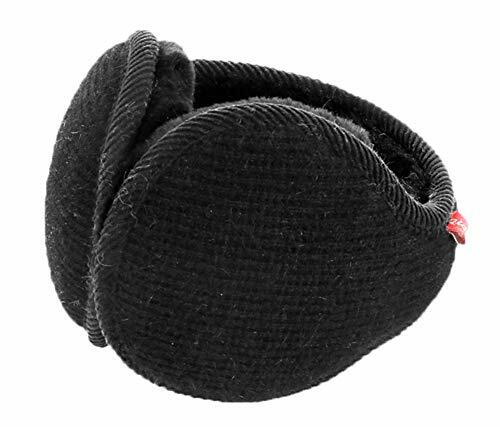 Special rotated headband makes it easy to keep and carry when it is free. FRESH DESIGN: Cute design, stylish color, fashion simple type, lovely headband, for all occasions and wears, what makes you look more unique. WARM & WINDPROOF： Well built, made of a soft high quality material, seam sealed to keep moisture and wind out, extremely warm by full ear surrounded protecting; Rotated headband, no worry about distorting; Wraps around the back, no pressure of moving glasses, no worry about messing your hair. Great gift for family and friends for Christmas. SIZE AND COLOR: One size fits all, comfortably and stay on securely. 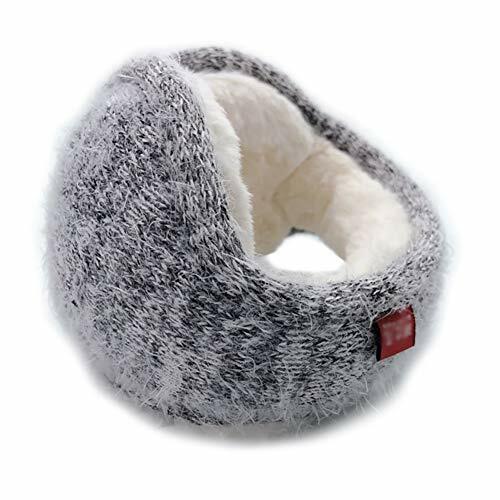 Top head-mounted recommended, it will be a little slide when you wearing it in rear because of its incredibly soft fleece. Perfect for men, women and teens. Classic colors for cold weather, give you more choices. OCCASION: Perfect for cold winter, casual, skiing, travel, fishing, biking, skating, climbing and other outdoor activities. Memory head band suit for everyone's ear perefectly; slightly stretch, foldable design, collapse into a small size, convenient to carry, can be put in purse or coat pocket. Great earmuffs with phenomenal warmth and incredible softness will give you a perfect outdoor experience. Nice Christmas present, New Year Gift, Birthday Gift, Halloween costume etc. 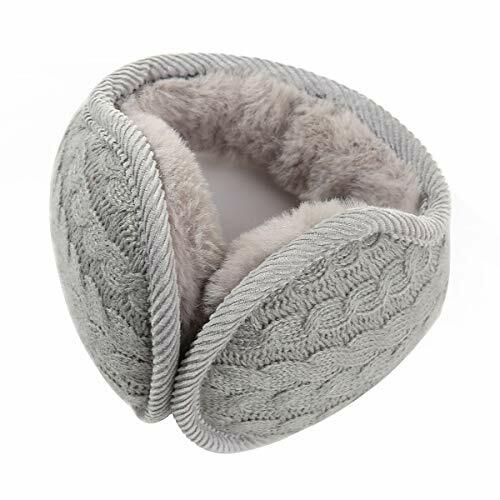 High quality materials---The outer layer of earmuffs adopt padded 260g high quality superfine particle fleece fabric is made, ventilation and more warm, soft, comfortable; inner use of imported high-quality plush, bright and distributed, as a soft of the silk. Fine texture, not to provoke the skin, not wool, don't rub off. 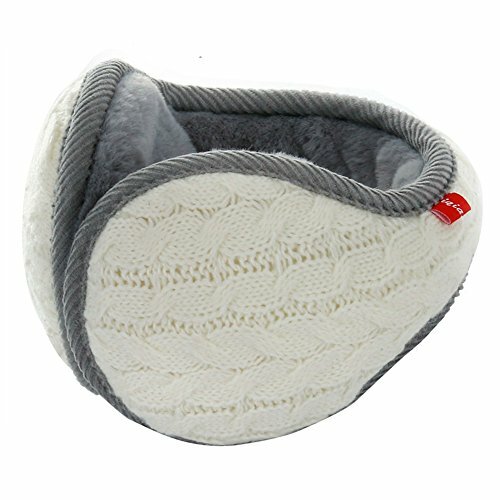 High-impact folding support--Folds flat for easy storage, includes a high-impact and freeze resistant plastic support, It has the ability of frost resistance, light weight, elastic, tough, 360 degree optionally accommodated. 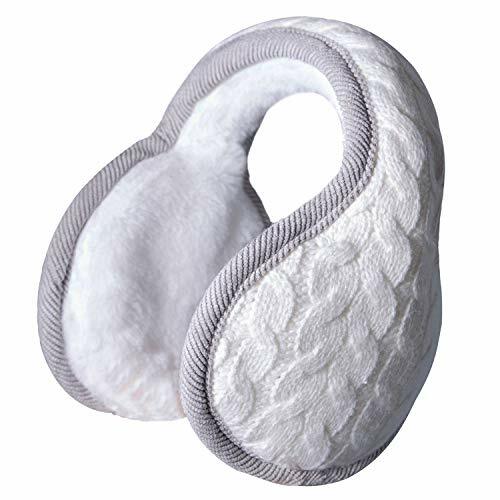 Rear-wear design--Behind the your head, keep your ear warm while protect cervical vertebra without messing up your hair. it can be worn with glasses, helmets, and hats and are not cumbersome. Extensive applicability--They are stylish and affordable so they are a great winter accessory without doubt. extensively applicable to the skiing, riding , and hiking, morning running ,outdoor work in winter. Good customer service for long time--Life is often unpredictable, and you need to be prepared for anything. So we support our product with an extra long warranty. If you have any problem about our products, please tell me. We will give you a approving reply. 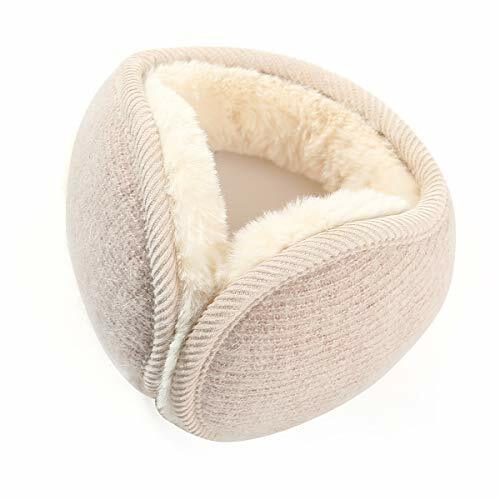 Inner use of imported high-quality plush,soft and smooth without shedding. 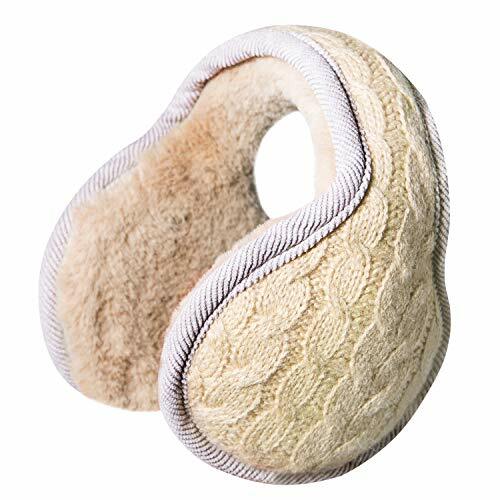 Behind the your head, keep your ear warm while protect cervical vertebra without messing up your hair. It can be worn with glasses, helmets, and hats and are not cumbersome,light weight.Fine texture,durable. 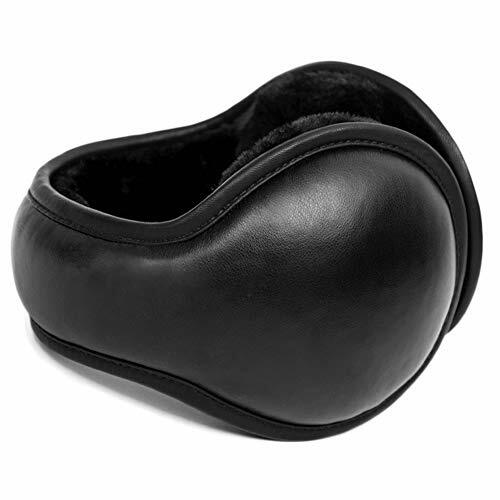 Folds flat for easy storage, includes a high-impact and freeze resistant plastic support.Protect your ears during the harsh winter. 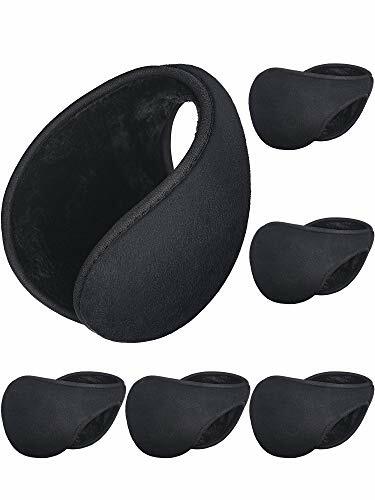 You can use ear buds underneath the earmuffs, letting cold time flowing in warm music; you would certainly wear it together with your mask when biking. 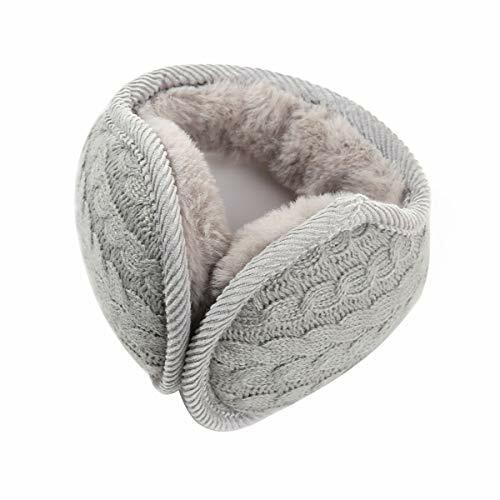 WARM MATERIAL - Outer of our winter earmuffs is made of soft cashmere knit material, inner lining is plush furry texture material, to keep you warm in cold winter. The band wraps around the back of your head or on the hand, but doesn't get all messed up our hair. 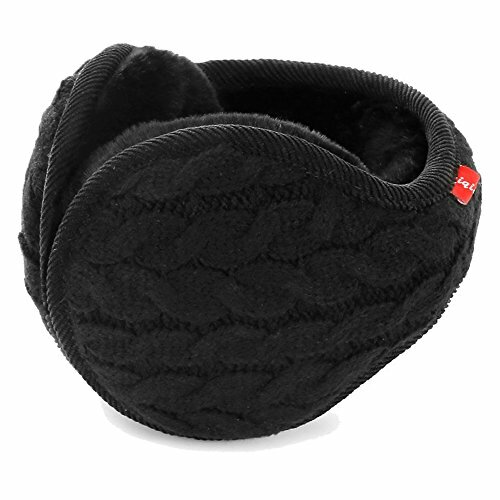 ADJUSTABLE & FOLDABLE - The ear muffs is perfect for most men and women. Unisex, one size fits most people. 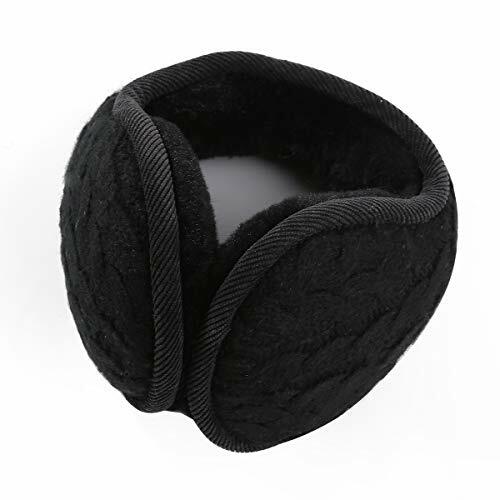 Adjustable band with slightly stretch, foldable design, collapse into a small size, easily carry, the earmuff can be put in purse or coat pocket. 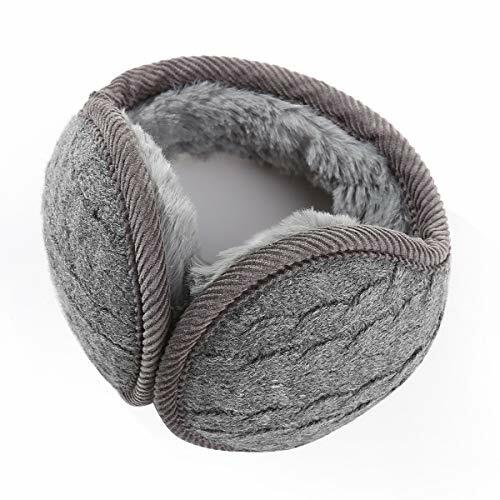 UNIQUE DESIGN - This knitted ear warmers will make you look more unique. Cute knit design, stylish pure color, lovely headband, fashion simple type, for all occasions and wears. The band wraps around the back of your head and fits comfortably but doesn't mess you hair up. Well built, no worry about distortin. 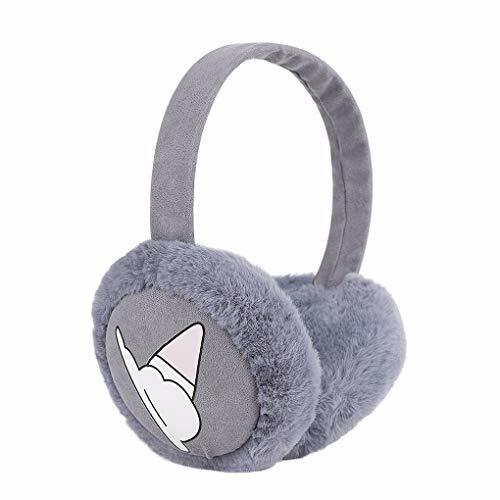 They go great with hats, glasses, helmets and earphone and make keeping your ears warm since the plush earmuffs that wrap around the back of your head. 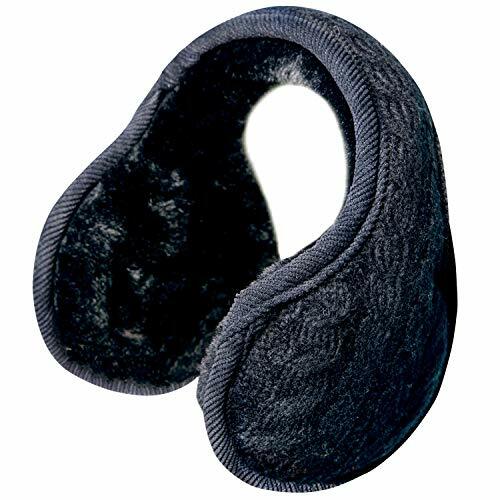 GREAT VALUE - The womens winter ear muffs are perfect for cold winter casual, skiing travel and other winter outdoor activities, seam sealed, keep moisture and wind out. 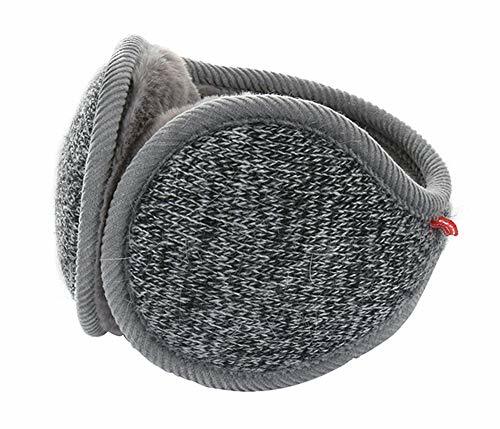 This fleece earmuff is great as a gift for your family or friends, or a treat for yourself and your kids, suitable for gentlemen and ladies. 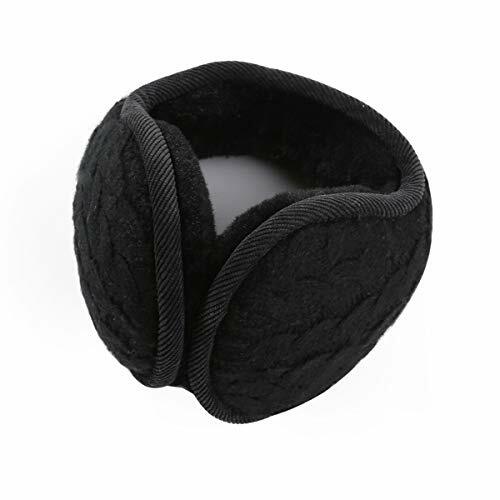 Our trendy and fashion furry earwarmer will be your favorite choice for outdoor accessorizing. 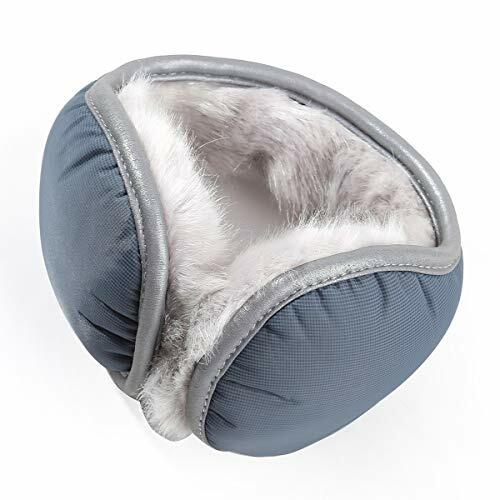 RISK FREE GUARANTEED - If you are not satisfied with your ear muffs for cold weather, contact us at any time, we will get you back within 24 hours try our best to make things right. 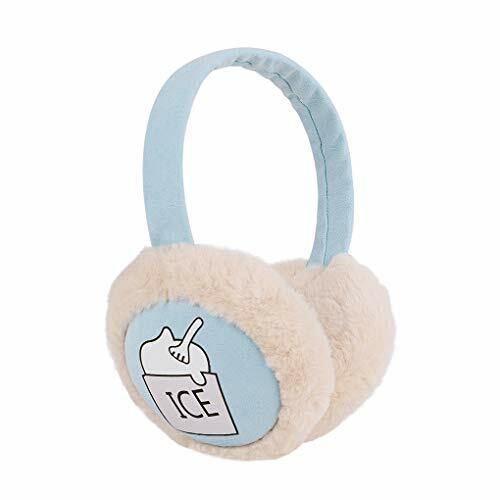 ADJUSTABLE SIZE : One size Fit for most adult, the earmuff is stretchable which is good to adjust the length. 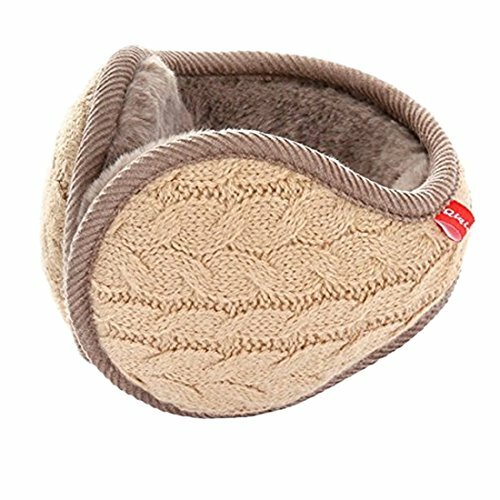 MATERIAL : 100% Polyester, warm and comfortable plush texture will makes your ears are protected from cold winds during the cold weather. 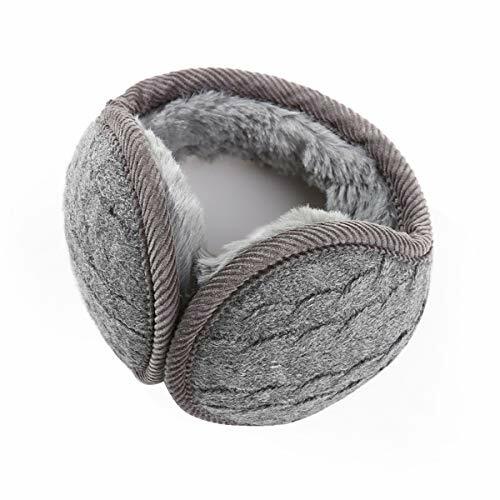 CLASSICAL EARMUFF : This fashion knit design earmuffs will make you look more unique, removable ear cover, easy cleaning. REDUCE PRESSURE : No pressure of moving glasses, and don't worried about messing your hair. Great gift for family and friends in Christmas. PERFECT WINTER ACCESSORY : Suit for everyday outdoors wear and activities such as when cycling, running, skiing, snowboarding and ice skating, etc. 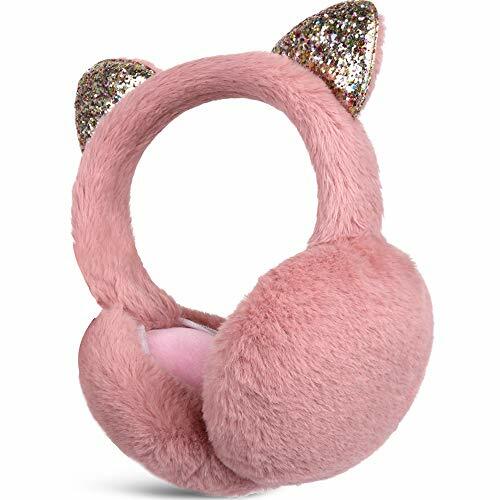 ✔ Material: Outer Material - soft furry knit fabric warm and comfortable, Inner Material - Plush ear pieces, high quality faux furry, plush texture, not to provoke the skin. Protect your ears in the cold winter. ✔ Size: One size fits most adult. The shortest 35cm, can be stretched up to 42cm, pull when not to place undue exertion. Adjustable band, slightly stretch, foldable design, small size, easy carry, can be put in bag or coat pocket. ✔ Design: Wrap around the back of your head, keep your ear warm while protect cervical vertebra without messing up your hair. It can be worn with glasses, helmets, and hats and are not cumbersome. ✔ Occasion: They are stylish and affordable so they are a great winter accessory without doubt. Extensively applicable to the skiing, Riding, and hiking, morning running, outdoor work in winter. Best gift for family and friends for Christmas, winter essential. ✔ ABOUT US: American Trends, American Registered Brand. Our company is devoted to making sustainable and good-quality fashion, and keeping improving by continuously listening to our customers' requirements. You are welcomed to contact us if you have any problem. 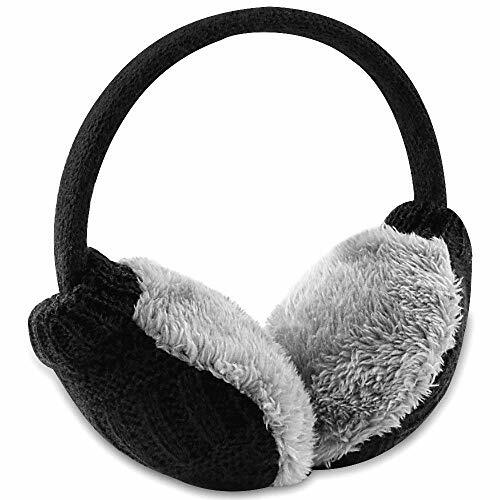 One size Fit for most adult, the earmuff is stretchable which is good to adjust the length. 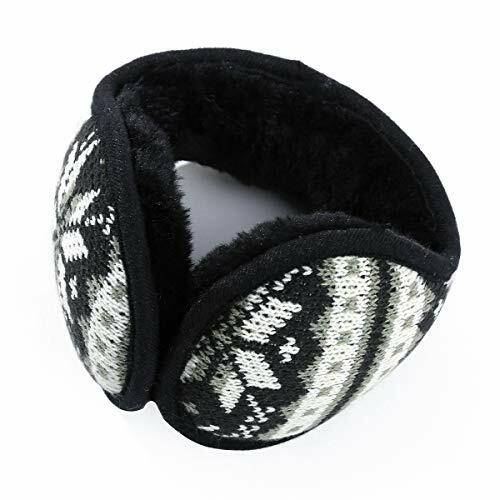 Design Features: This stylish knit design earmuffs will make you look more unique, removable ear cover, easy cleaning. 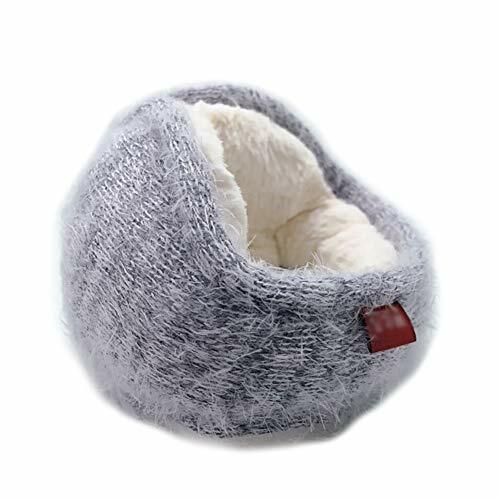 High-quality fluff, very warm, super comfortable. Make sure your ears are protected from cold winds during the cold winter. Wraps around the top of your head, No pressure of moving glasses, no worry about messing your hair,Great gift for family and friends for Christmas. 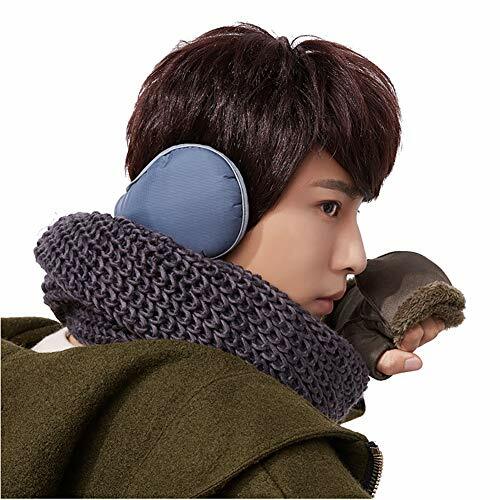 Men Winter Earmuffs Material: superfine particle fleece fabric is made, ventilation and more warm, soft, comfortable; inner use of imported high quality plush, bright Fine texture, not to provoke the skin, not wool, don't rub off. 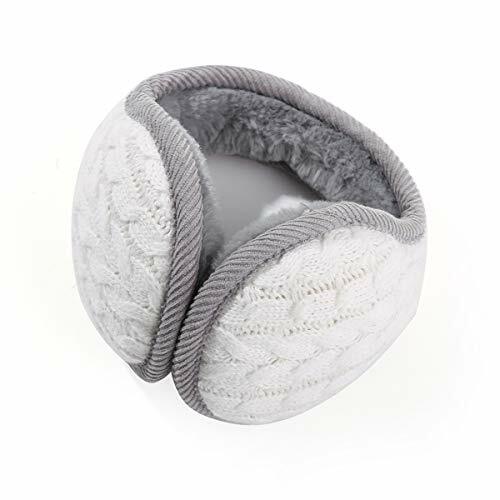 Foldable Men Warmers: Folds flat for easy storage, includes a high impact and freeze resistant plastic support, It has the ability of frost resistance, light weight, elastic, tough, 360 degree optionally accommodated. 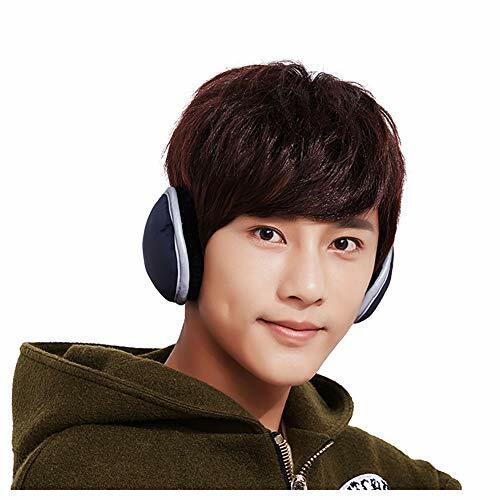 Men Ear Cover: Wrap around the back of your head, keep your ear warm while protect cervical vertebra without messing up your hair. it can be worn with glasses, helmets, and hats and are not cumbersome. 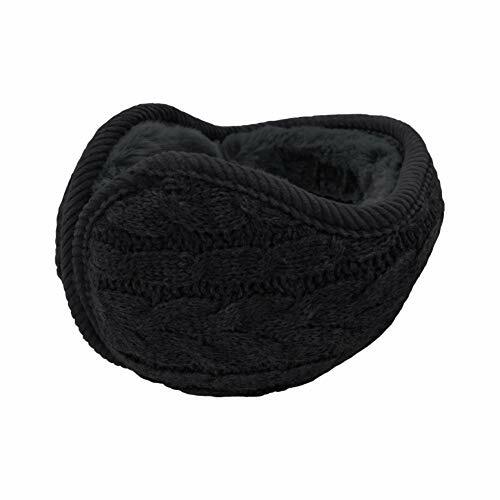 Black Muffs Extensive applicability: They are stylish and affordable so they are a great winter accessory without doubt. extensively applicable to the skiing, Riding, and hiking, morning running, outdoor work in winter. 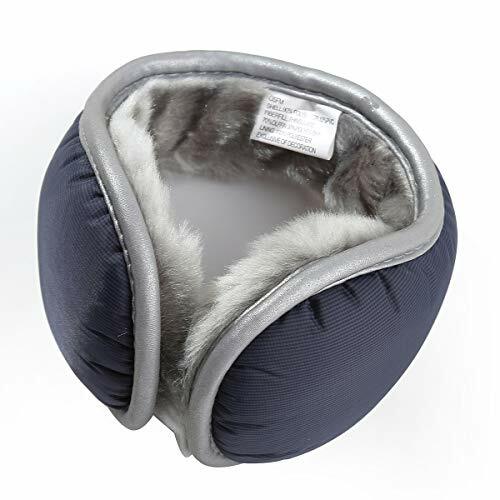 Muffs Suit for Occasions: Perfect for cold winter casual, a wonderful item for wearing in winter while skiing, snowboarding, skating, sledding, snowshoeing, camping, and hiking or any outdoor sports and activities. 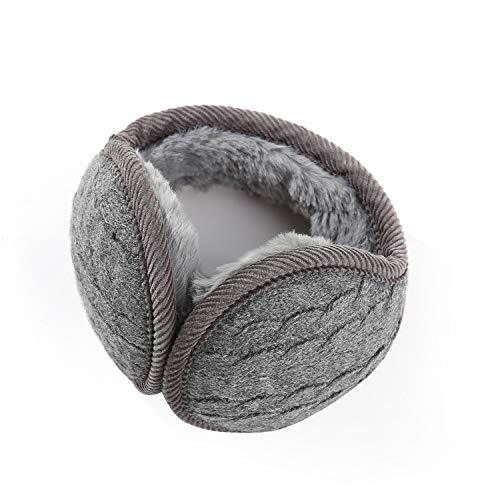 [Unique 180°Foldable Design]:Men Fleece Ear Muffs with foldable and Behind the Head design.The band wraps around the back of your head,thus it keep your ears warmer than a beanie. No pressure of moving glasses, no worry about messing your hair. 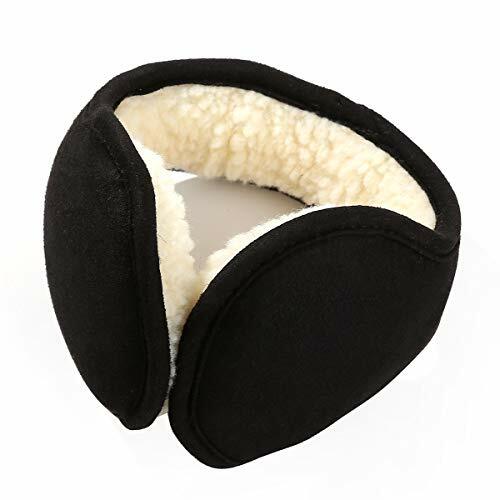 [Fashion & Warm Winter Ear Warmers]:Earmuffs outer made of PU leather While Inner Part is made of high quality faux fur.Easy to Carry into Pocket.It's comfortable, lightweight and warm enough for outdoor using in winter cold weather. 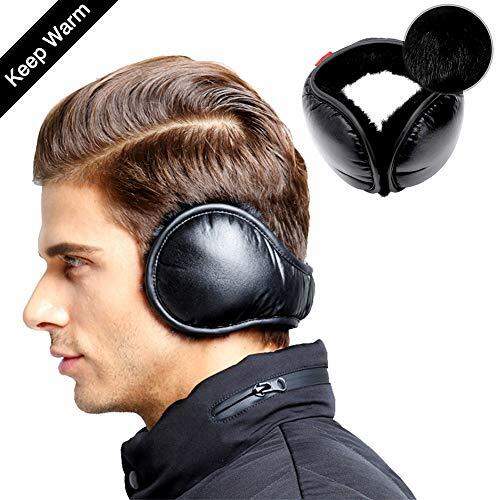 [Waterproof Black Earmuffs for Men & Women]:PU leather ear cover, waterproof and easy to clean.Black Earmuffs perfect for Men and Women in the Winter.Also could be as a couple ear warmers. 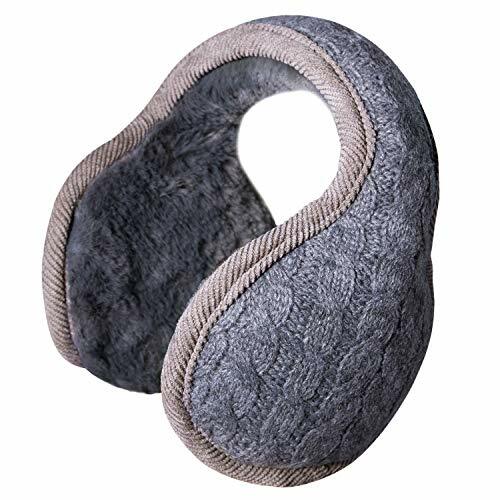 [Excellent Winter Accessory]: Our ear warmers accompany with you in all your outdoors activities such as shopping, hiking, camping, biking, ice skating, skiing, sledding, and more. 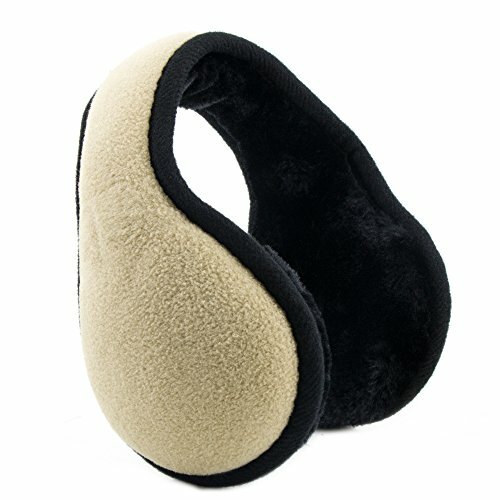 [Ideal Christmas Gift for Family or Friends]: Earmuffs for men and women is great for most people with foldable and Behind the Head design, comfortable and soft, will keep warm in cold winter, like your sweat-heart to care your friends or family, so this is the best present for the giver.